England are in complete control of the second Test against India at Lord's after bowling the tourists out for 107 by the close of the second day. After rain had completely washed out the first day, there was at least some play on Friday, although most of it came after 5pm. India are 500/1 to win the second Test, while an England victory is available at 1/750 and the draw at 33/1. After England captain Joe Root had won the toss and opted to field first, Jimmy Anderson took two wickets before lunch. He bowled Murali Vijay for a duck and then dismissed KL Rahul for eight when he edged the ball to wicketkeeper Jonny Bairstow. India contrived to lose their third wicket in farcical fashion when Cheteshwar Pujara was run out for one after a communication breakdown with his captain Virat Kohli. After the second lengthy rain delay of the day, Chris Woakes took centre stage, finding the edge of Kohli's bat and allowing Jos Buttler to snaffle the catch at second slip. Kohli was out for 23 and Woakes and Buttler soon combined again to dismiss Hardik Pandya for 11 and leave India on 61-5. Sam Curran found some movement to bowl Dinesh Karthik for one before Anderson returned to the attack and immediately had Ajinkya Rahane caught by Alastair Cook at first slip for 18. 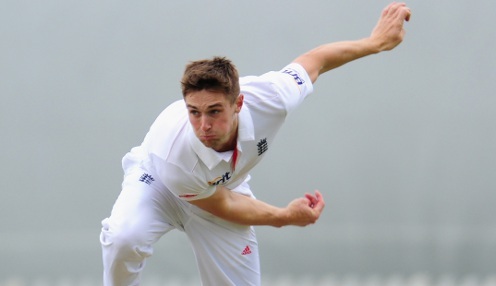 Anderson then trapped Kuldeep Yadav lbw for a duck before Ravi Ashwin was out lbw to Stuart Broad for 29. Anderson took his fifth wicket of the innings when Ishant Sharma was given out in the same manner.